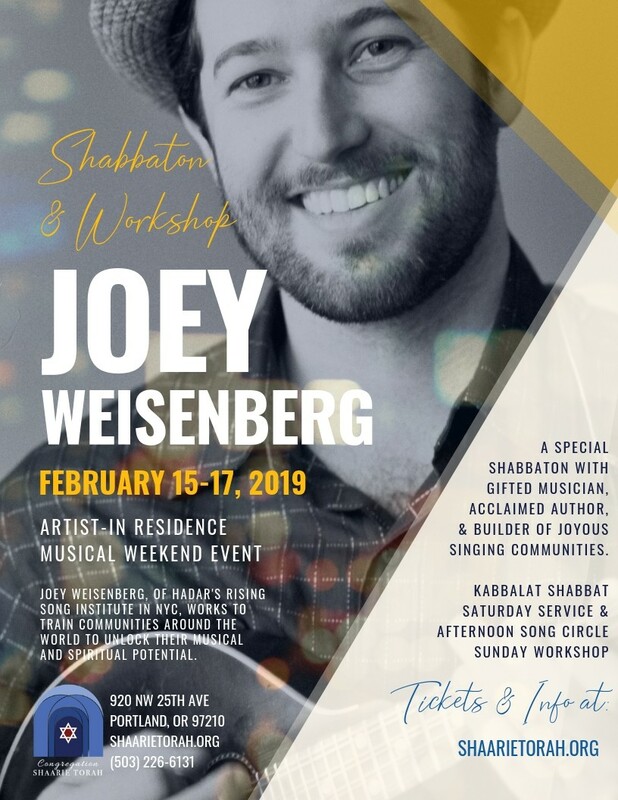 Shabbaton/Weekend with acclaimed musician, author, and teacher, Joey Weisenberg. He will enliven our spirits and lead us in intimate prayer and joyous song. Sunday, he will lead a very special singing workshop. Join Shaarie Torah for this once in a lifetime experience! *Please see ticket prices below for these starred events. No one will be turned away for lack of funds. Contact the Shaarie Torah office (503-226-6131) if you would like to attend and cost is a barrier.